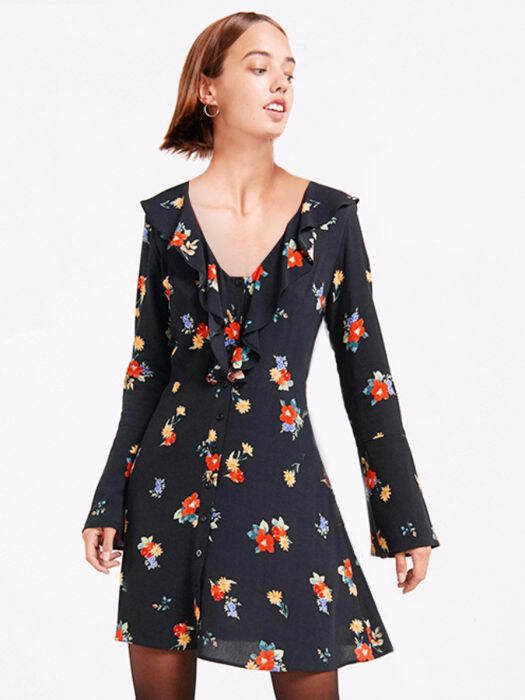 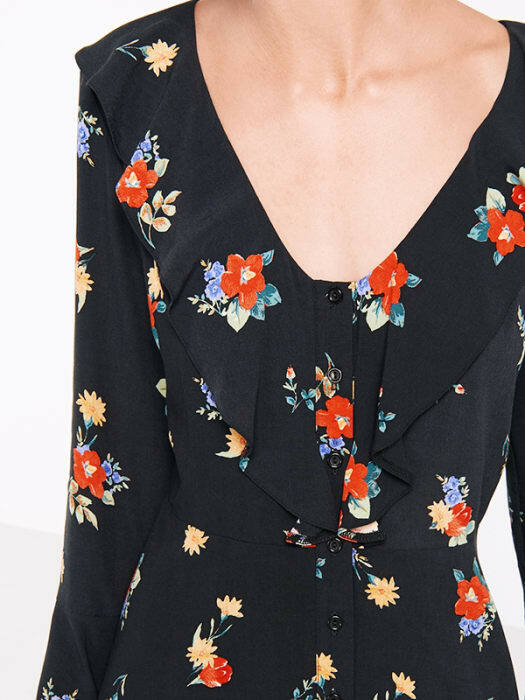 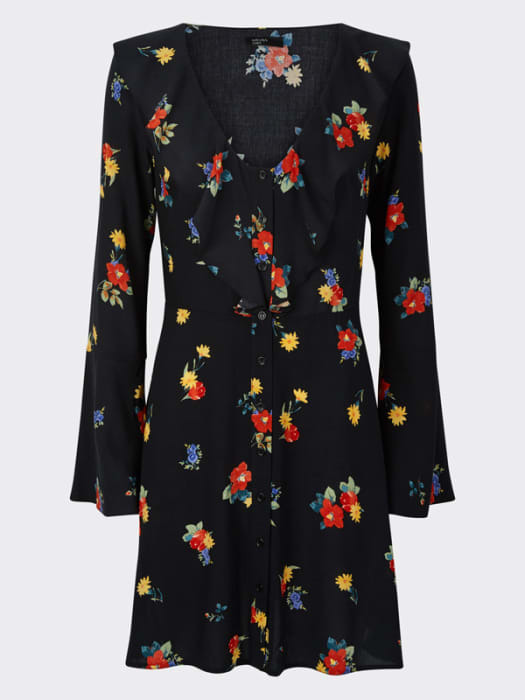 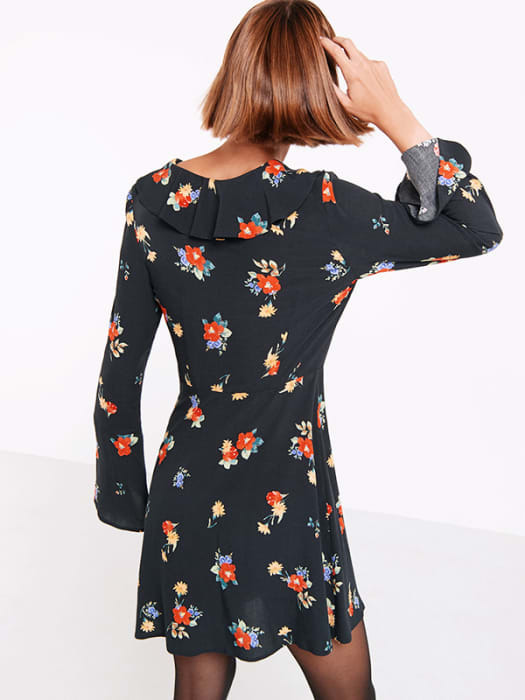 Make florals the foundation to your new season wardrobe, starting with this black Ruffle Front Dress. 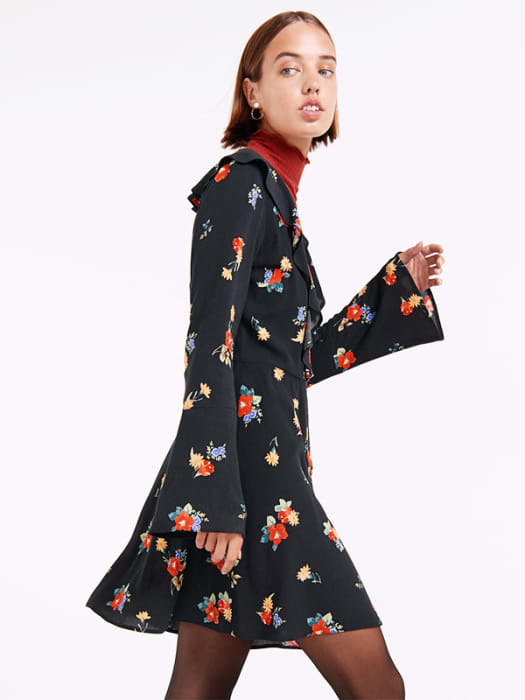 In a wear-everywhere black, vibrant pops of petal elevate the design, while flared sleeves and a frilly neckline guarantee maximum dress-envy. 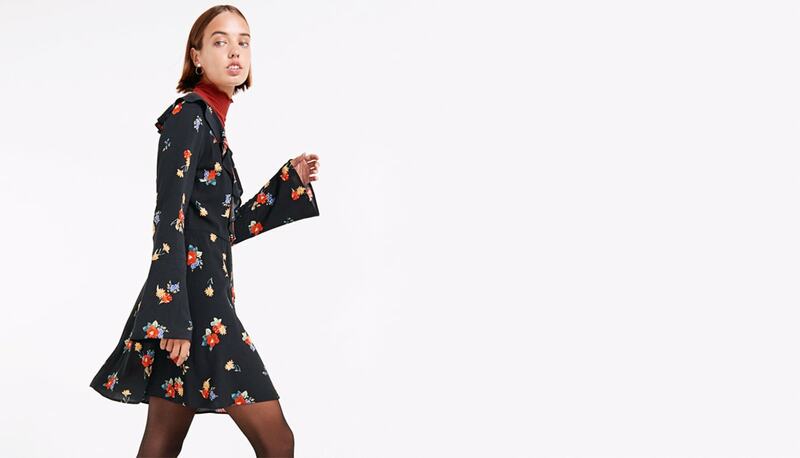 Try it layered over a roll neck for a deceivingly warm style-twist in the lead up to winter.